Our Gallery is located in the Chelsea neighborhood of New York City, the heart of the art district in Manhattan. We've been in open in the same location for 15 years and have acquired one of the largest collections in the world, featuring thousands of rare, exciting, and beautiful antique French posters of the Belle Époque. Our gallery is open from 11am to 6pm Monday through Saturday. Our Prices are the most competitive and our website is a large selection of our collection grouped in easy to understand categories. This is an easy, friendly website to search and enjoy. 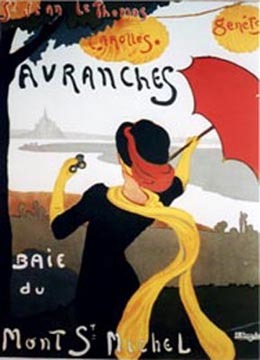 Vintage Travel Posters We have hundreds of delightful and affordable posters from the great age of travel beginning around 1890 to 1940 - exotic destinations, tours, ocean liners, airlines, hotels and more. Vintage Food and Beverage Posters Champagne, wine, aperitifs, pasta, cheese…all are celebrated in posters. Vintage Sports Posters Skiing, golf, the Olympics, auto and cycle racing…even wrestling and basketball. Music Posters We feature great opera posters, a terrific selection of contemporary jazz posters, and more. Auto & Cycle Posters We have many of the classics. Our site provides ample information to expand your poster knowledge and do background research. Those new to poster art will enjoy our biographies of the artists and notes on each piece outlining styles, history, artistic movements, graphic design insights and the characters who bring the Belle Époque to life enriching your understanding of the world of poster art. Services - Poster collecting has become a widespread activity as the poster's beauty and cultural value have become recognized. Use our expertise and worldwide contacts to help build personal, corporate, or museum collections. Our services include conservation linen mounting and restoration, custom framing, and poster appraisals. Our years in the business and extensive knowledge of posters will go into answering your every question. We are always interested in purchasing single posters or large collections.